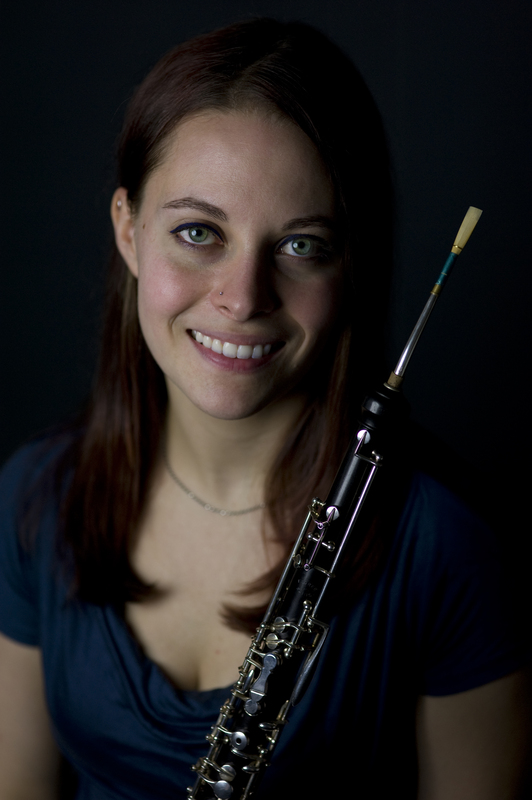 Oboist Cat Cantrell is an avid orchestral and chamber musician based in New York City. Raised in an Air Force family, she is most comfortable as a nomad travelling wherever music takes her - she is delighted music has brought her to Tucson as 3rd oboe and English horn with the Tucson Symphony. As a Britten-Pears Young Artist 2012, she was thrilled to tour Europe with the Aldeburgh World Orchestra – including a performance at the Royal Concertgebouw in Amsterdam - culminating in a concert at the BBC Proms in Royal Albert Hall during the 2012 Summer Olympics in London. Cat had the pleasure of joining the Manhattan Symphonie’s 2012-13 tour through China and the Tel Aviv Cantorial Institute Men’s Choir Tour of the US in 2012. During past summers, she has participated in the Immanuel & Helen Olshan Texas Music Festival in Houston, TX and Eastern Music Festival in Greensboro, NC. An active freelancer, she performs with a wide range of groups around NYC including the Martha Cardona Theatre, the Bergen Symphony and the JouJou Jacquettes Philharmonic Orchestra. As an ally of new music, Cat was an original member of the Mannes American Composer’s Ensemble (MACE). The creation of composer Lowell Libermnn, MACE exclusively performs works by living, American composers. As a soloist, Cat was a finalist in the 2011 Cynthia Woods Mitchell Young Artist Competition. Upon finishing her Master’s in 2012, she was awarded the James E. Hughes, Sr., Memorial Performance Award. In addition to her passion for the oboe and English horn, she regularly performs on multiple instruments with musical theatre groups including the Montclair Operetta Club, BergenPAC and Pleasant Valley Productions. Cat Cantrell earned a Master’s of Music from Mannes College the New School for Music with Sherry Sylar and a Bachelor’s degree in Oboe Performance from the Florida State University, studying with Dr. Eric Ohlsson. When not absorbed in music, she likes to bake, explore the city and play with her cat, Nütella. When did you start playing your instrument? I started the oboe in 4th grade, when I was 8 years old. My teacher started me on the clarinet for a few months, to give me a chance to learn how to connect air/tongue/fingers without the distraction brought by the brain-explosion which comes with playing the oboe. I began my love-affair with the English horn during my sophomore year of high school. Are you from a musical family? Yes! My father is a fabulous singer and choir conductor, my mother is a great acoustic guitar player and my brother played the trumpet through college. Do you play any other instruments? I play all of the instruments in the woodwind family. I was a very curious child and had access to many instruments. I love playing for Broadway-type musicals, which often call for the wind players to play multiple instruments. I recently played a show which asked me to play 4 different saxophones, flute and clarinet. What makes your instrument special? English horn has the most haunting sound, and gets some of the best solos. Nearly everything I get to play is something you really need to hear in any composition. What advice would you give to kids learning to play your instrument? Don't give up! If you're really serious, the earlier you learn to make reeds the better. If you are doing it just for fun, buy reeds from a good source. Don't settle for factory reeds! Funny Musical Experience? I once played in the pit for a production of "Don Giovanni". In the opening of the opera, Leporello (Giovanni's servant) complains about having to help Giovanni with his questionable pursuits of women. During this aria, he brings out a book containing names of all the women Giovanni has seduced. During one performance, a page fell out of the book and into the pit - straight in to my lap! Luckily, this happened during a rest, so I got to admire how thorough the prop maker for the production was. The page was full of names - and some were marked 'anonymous'! Copyright © 2005 - 2008 TSOMO - Tucson Symphony Orchestra Musicians Organization. This website is created by musicians of the Tucson Symphony Orchestra.The opinions expressed here represent the personal viewpoints of the musicians. None of opinions expressed here are made on behalf of, or are intended to represent, those of the Tucson Symphony Society. Designed by JoomlArt.com.